JSC Sukhoi Civil Aircraft (SCAC) held a roll-out ceremony of two Sukhoi Business Jet (SBJ) aircraft built for Royal Thai Air Force (RTAF). The aircraft will be providing VIP transportation services for Thai top officials and government leaders as well as to the High Command of Thailand. The two SBJs are the company’s first business jets acquired by an overseas customer. Air Chief Marshal Treetod Sonjance, Commander-in-Chief of The Royal Thai Air Force, Ilya Tarasenko, President of SCAC, Nazario Cauceglia, CEO of SuperJet International and Marc Sorel, CEO and Chairman of PowerJet, took part in the official ceremony celebrating the aircraft roll-out and acquisition. 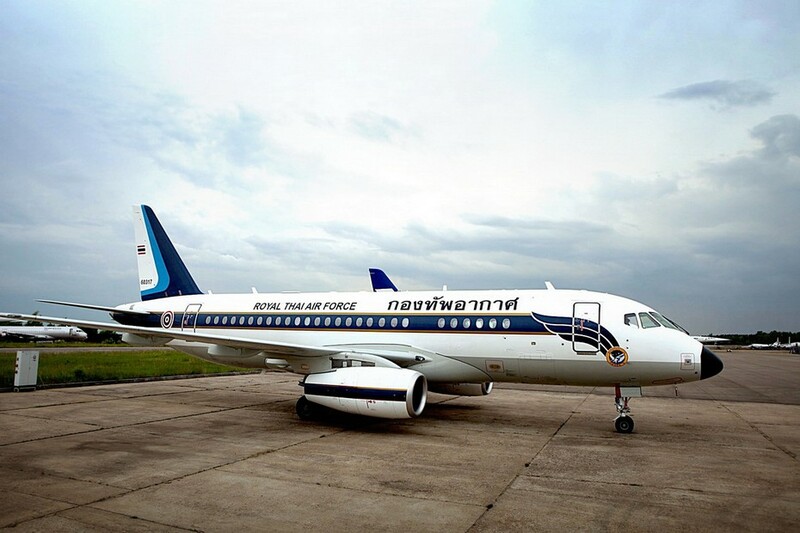 The version of the SBJ designed for RTAF has three sections differing in comfort level: a 4-seat VIP area, a 6-seat business class area, and a passenger compartment for 50 people. The aircraft ensure maximum passenger comfort, including communication and Inflight-Entertainment systems. The SBJ’s flight range is over 4500 km. The aircraft, including the interior, were assembled in Russia. In-service maintenance support for the RTAF jets will be provided in Thailand. The aircraft are delivered to RTAF as part of the bidding and procurement process for which SCAC was awarded a contract in 2014.